First thing I did when I got back from christmas break was start working on a new sketch. Happy new year everyone. 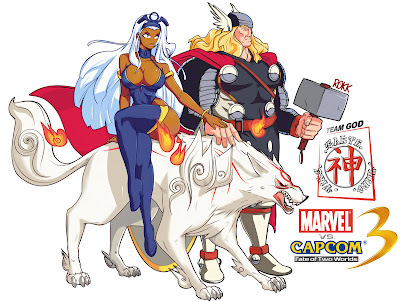 I was asked to make up some art for the coming of Marvel vs. Capcom 3 so I picked my favorites and did a tag team pick of them together.